‘Captain Marvel’ is out on March 8, while ‘Avengers: Endgame’ will be released on April 26. Marvel Studios released two 30-second spots for their upcoming releases Captain Marvel and Avengers: Endgame during the telecast of the Super Bowl football game on Sunday. 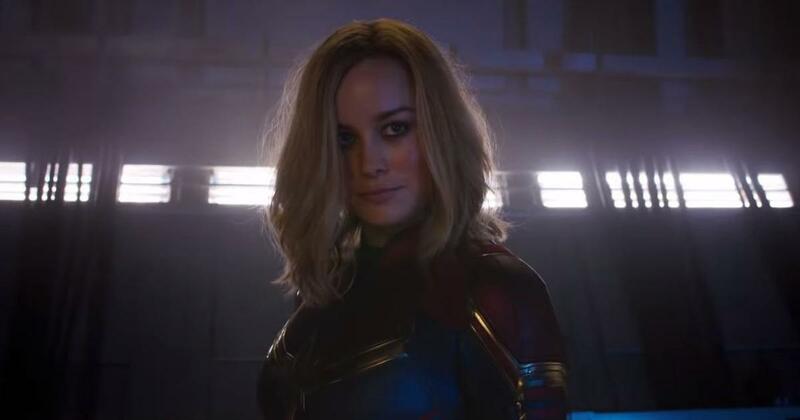 The action-driven Captain Marvel promo focuses on the superheroine played by Brie Larson. Captain Marvel is the alter ego of Carol Denvers, an ex-United States army fighter pilot who develops superhuman powers after her DNA gets fused with that of a master alien race, the Kree. The Super Bowl spot also gives glimpses of key characters played by Jude Law and Samuel L Jackson, who returns as Nick Fury minus the eye patch. Meanwhile, an angry voiceover by Captain America (Chris Evans) – “Some people move on but not us” – echoes through the promo for Avengers: Endgame, in which Marvel’s superheroes put up a last stand against the supervillain Thanos (Josh Brolin). Thanos obliterated half of the world’s population and a chunk of the Avengers in the 2018 prequel, Avengers: Infinity War. Captain Marvel’s arrival was hinted at in the post-credits scene of the 2018 film. Captain Marvel will be out on March 8 in theatres, thus introducing the character who will join the rest of the superhero posse in Avengers: Endgame on April 26. Spider-Man, who apparently died in Avengers: Infinity War, is expected to return in Avengers: Endgame. This rebirth will enable the character to headline the solo film Spider-Man: Far From Home, due for release on July 5.